Certainly one of the remaining legends in rock music, Tom Petty offers a level of certainty with every new album he produces. 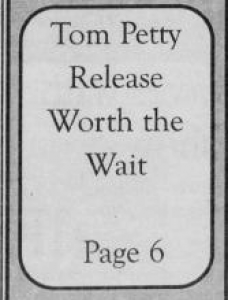 Ever since his critically acclaimed Full Moon Fever, it is obvious that Petty had certainly upped his game. Despite a somewhat disappointing soundtrack two years ago for the altogether disappointing movie "She's the One," Tom has rebounded and rejoined the Heartbreakers for one of his finest efforts of his illustrious career. The soundtrack and his 6 CD box set put off his studio work for over half a decade but the wait was definitely worth it. With Echo, there is the same balance of ballads and rock classics that is present to nearly every one of Petty's albums. This disc begins with the soft track "Room at the Top" which is reminiscent of his last studio undertaking Wildflowers, which is undoubtedly one of the best rock albums of the decade. 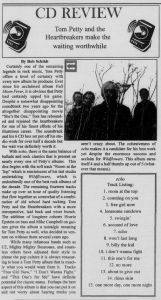 The remaining fourteen tracks make up over an hour of quality listening that flow together as somewhat of a combination of old school rocking Tom Petty and the Heartbreakers with a more introspective, laid back and wiser bunch. The addition of longtime cohorts Howie Epstein on bass and Mike Campbell on guitar gives the album a nostalgic meaning for Tom Petty as well, who decided to venture on without them several years ago. 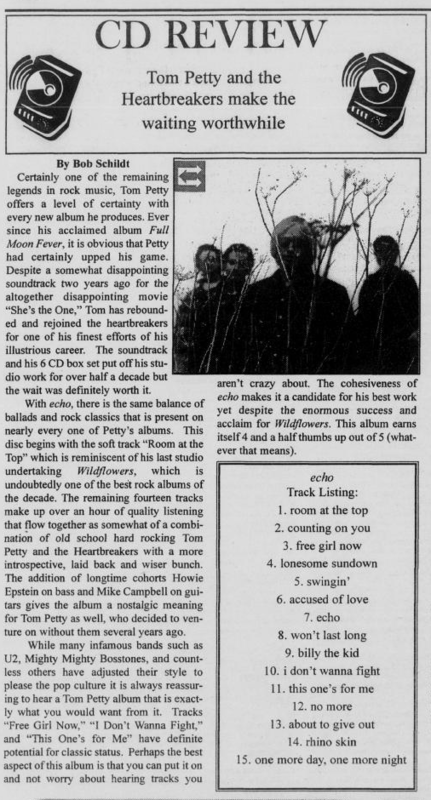 While many infamous bands such as U2, Mighty Mighty Bosstones, and countless others have adjusted their style to please the pop culture is is always reassuring to hear a Tom Petty album that is exactly what you would want from it. Tracks "Free Girl Now," "I Don't Wanna Fight," and "This One's For Me" have definite potential for classic status. Perhaps the best aspect of this album is that you can put it on and not worry about hearing tracks you aren't crazy about. The cohesiveness of echo makes it a candidate for his best work yet despite the enormous success and acclaim for Wildflowers. This album earns itself 4 and a half thumbs up out of 5 (whatever that mean).